The fifth season of the American television medical drama Grey's Anatomy, created by Shonda Rhimes, commenced airing on American Broadcasting Company in the United States on September 25, 2008 and concluded on May 14, 2009 with twenty-four aired episodes. The season follows the story of a group of surgeons as they go through their residency, while they also deal with the personal challenges and relationships with their mentors. Season five had thirteen series regulars with twelve of them returning from the previous season. The season aired in the Thursday night timeslot at 9:00 pm. 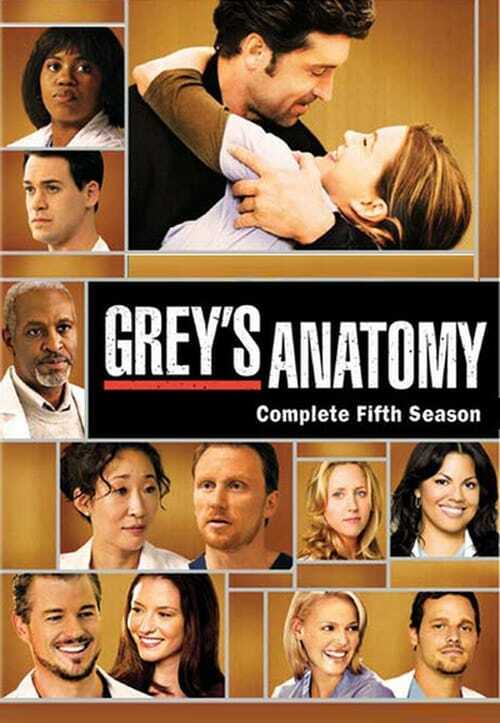 The season was officially released on DVD as seven-disc boxset under the title of Grey's Anatomy: The Complete Fifth Season – More Moments on September 9, 2009 by Buena Vista Home Entertainment.